Have you ever checked out the specialty section in the produce department for unusual fruits and veggies? In the grocery store where I shop, this section has various hot peppers, tomatillos, Japanese eggplant, lemon grass, and radicchio. 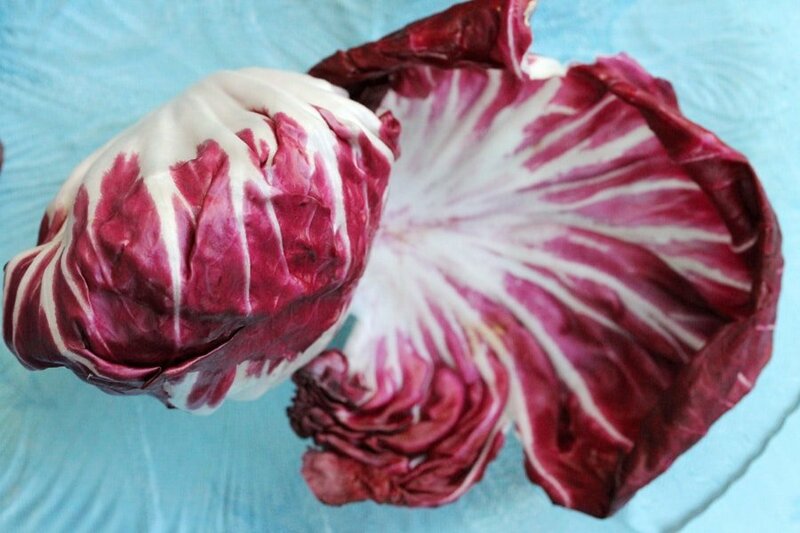 The radicchio caught my eye because it’s so pretty. It was $2.99 a pound but I picked one of the smallest and lightest ones so it ended up costing just a bit over a dollar. 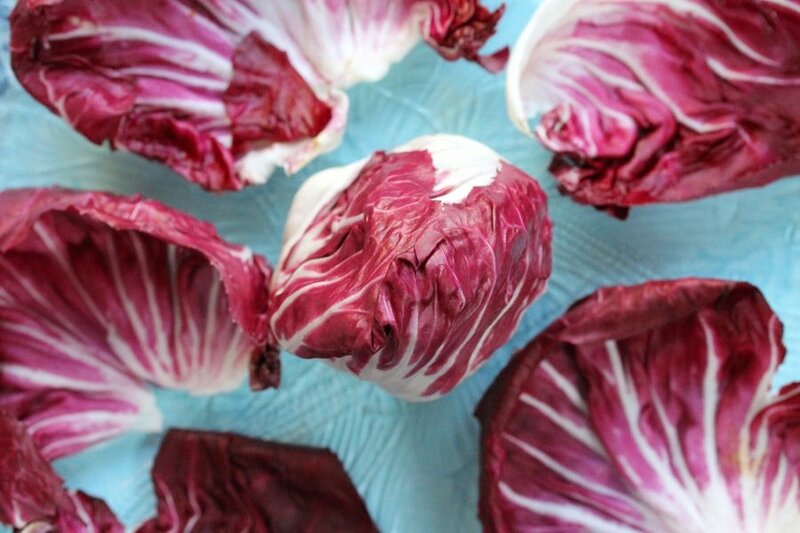 Generally I find that radicchio is on the bitter side when it’s in a salad but the texture and size of the leaves seems so perfect to use as a small “bowl” for a salad. 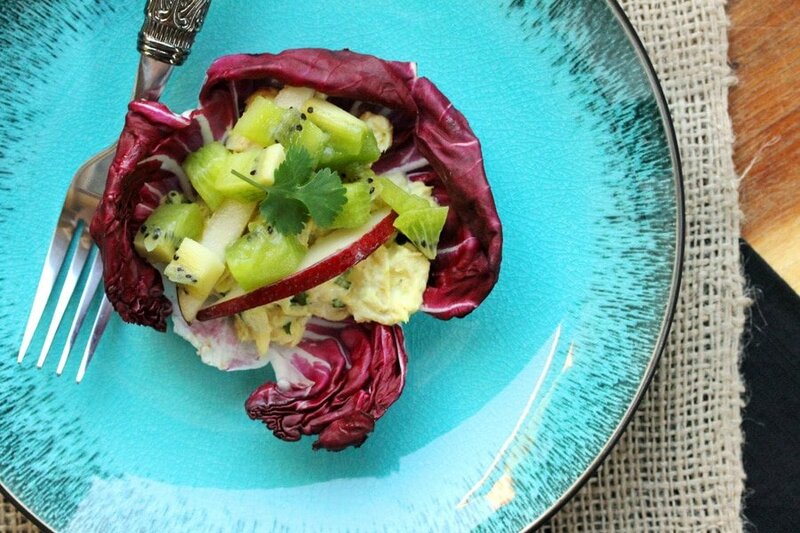 In this recipe I used the radicchio as a “bowl” for tuna salad that’s made with a bit of curry powder and chopped cilantro (super tasty). 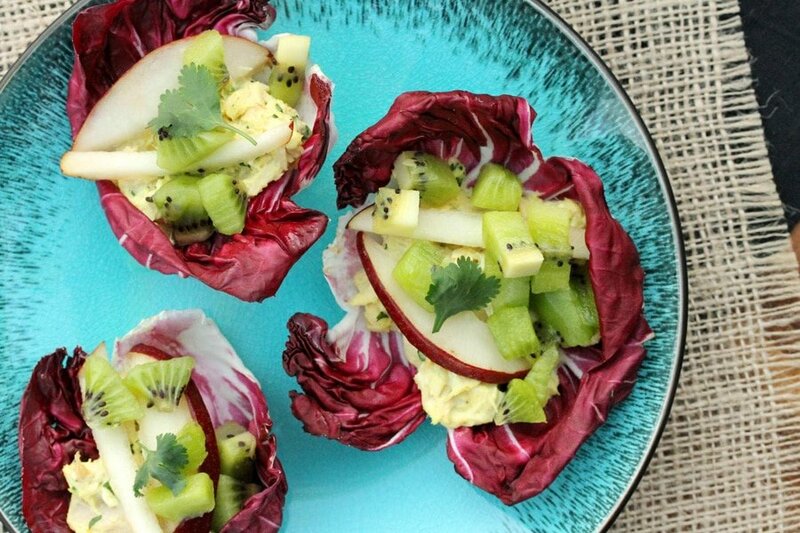 Then pieces of red pear and kiwi fruit were added for a touch of sweetness. The combination of flavors works so well together and is absolutely delicious. So let’s check out the ingredients. 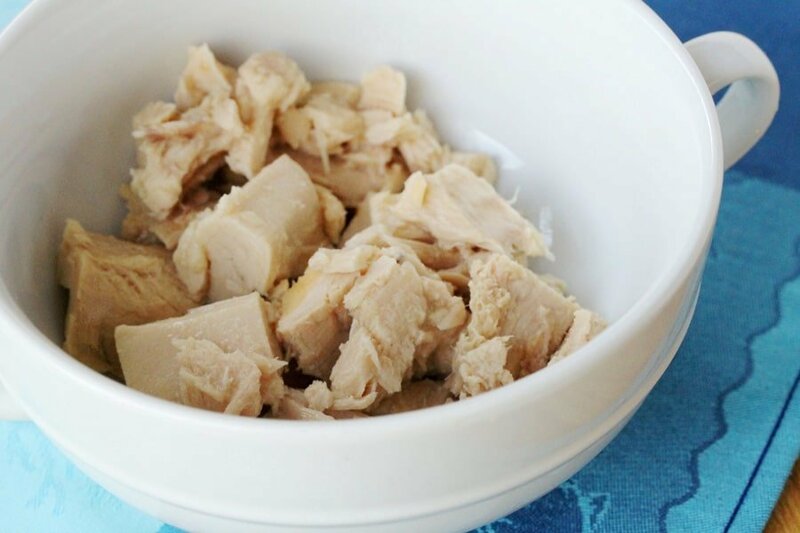 Add the tuna in a medium size bowl. Mix the ingredients. 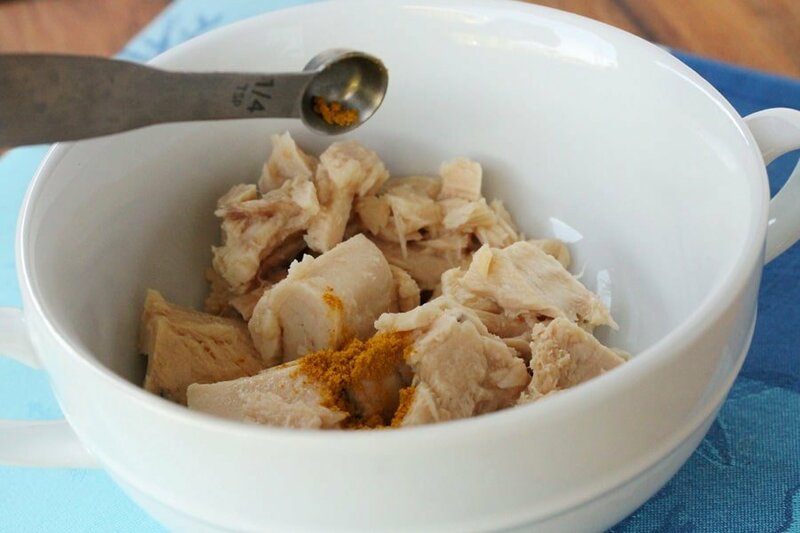 Try to keep some of the tuna in chunks so that it’s not too mushy. Set aside. and slice some of the pieces in half circles and the other pieces into sticks. 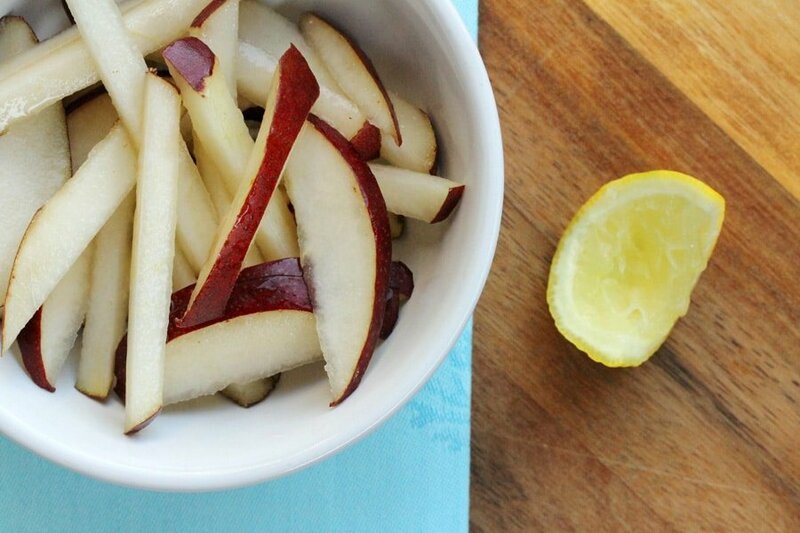 Squeeze the lemon juice over the pieces of pear. 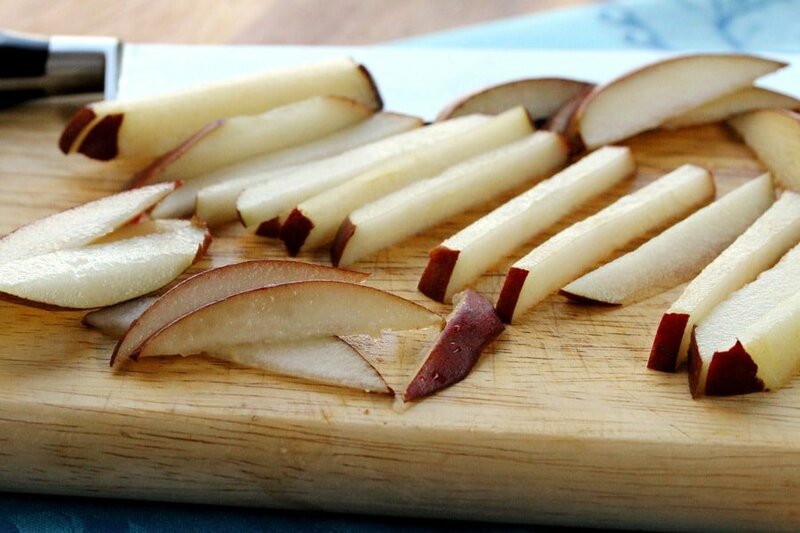 The lemon juice adds a nice flavor to the pear and should keep the pieces from turning brown. 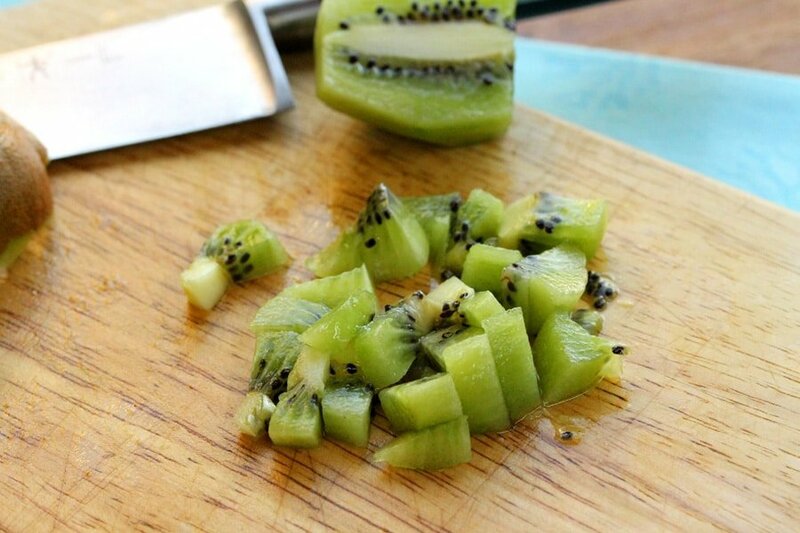 Next, cut the skin off of the kiwi and cut the fruit into small pieces. 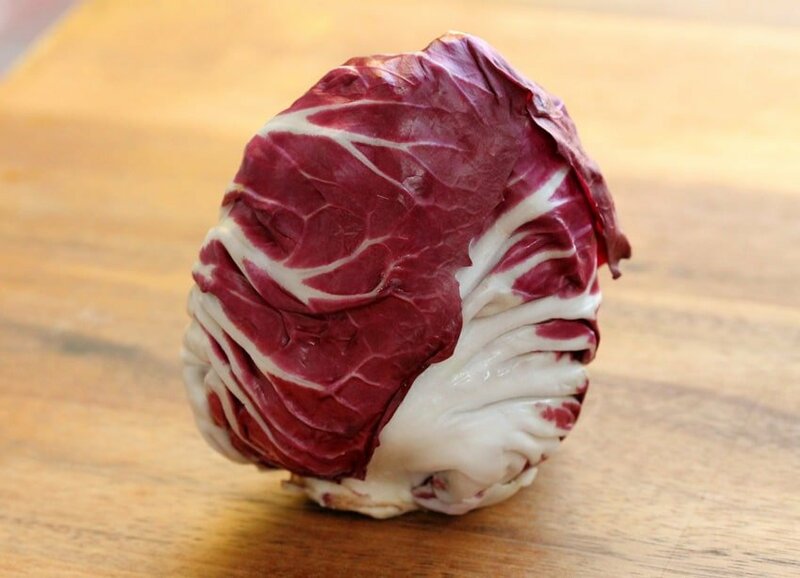 ….peel 6 leaves off of the head of radicchio. 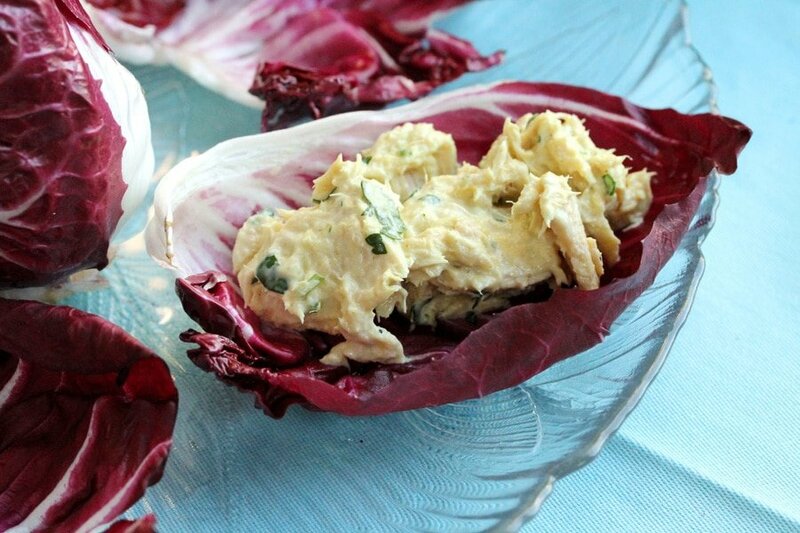 spoon the tuna on to the middle of each radicchio leaf. Then lay the pieces of red pear on top of the tuna. 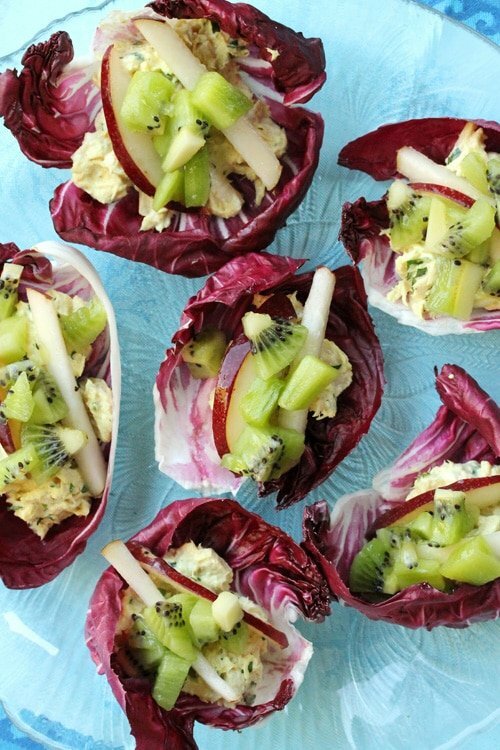 Top with the pieces of kiwi fruit. 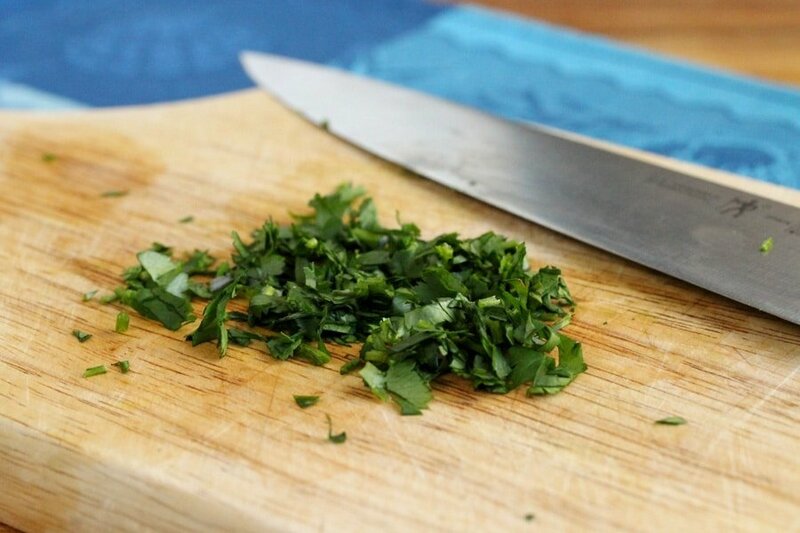 Garnish with a cilantro leaf. These last nicely in the refridgerator for a couple days. 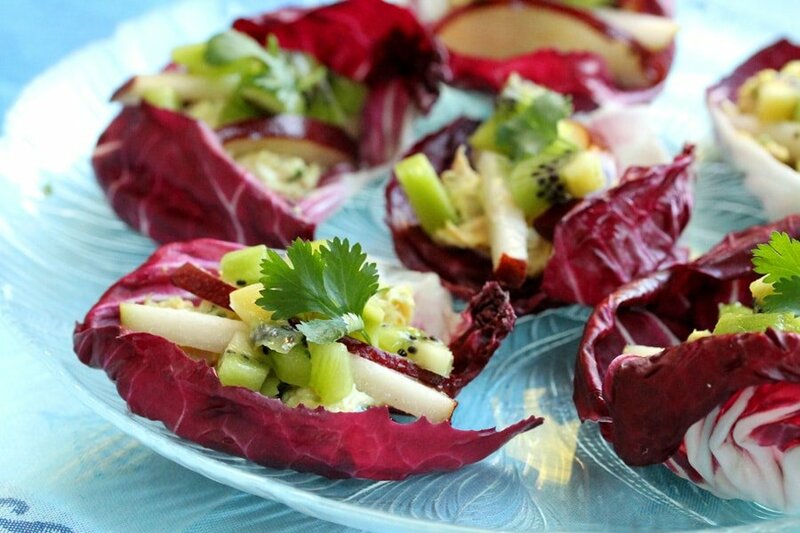 They also make fun and delicious appetizers. 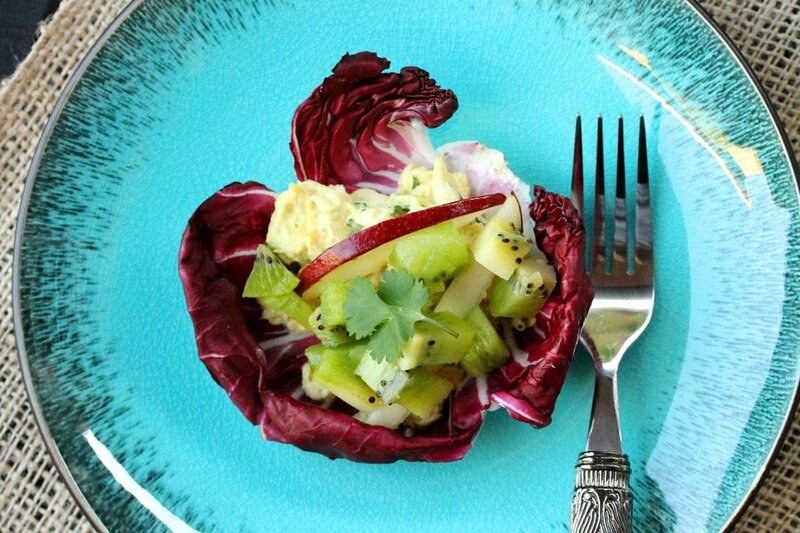 A delightful finger food salad. 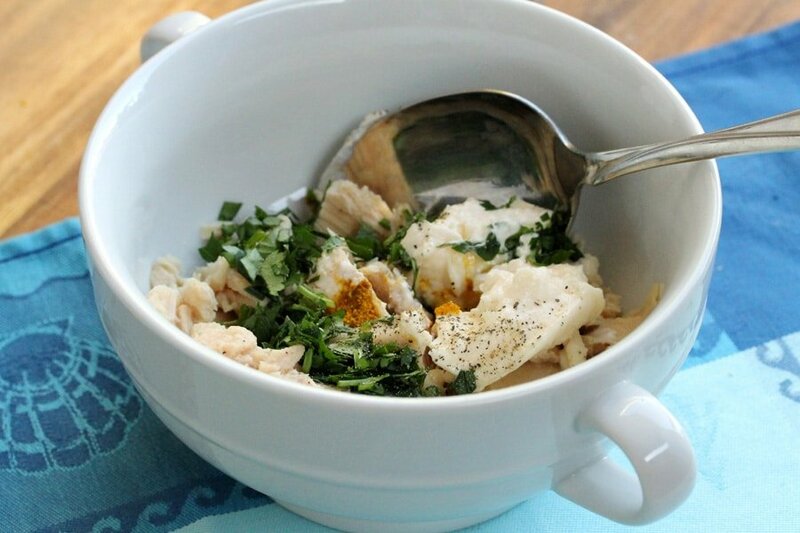 For the Tuna Salad - In a medium size bowl, add tuna, curry powder, mayonnaise, chopped cilantro, and pepper. Mix together. 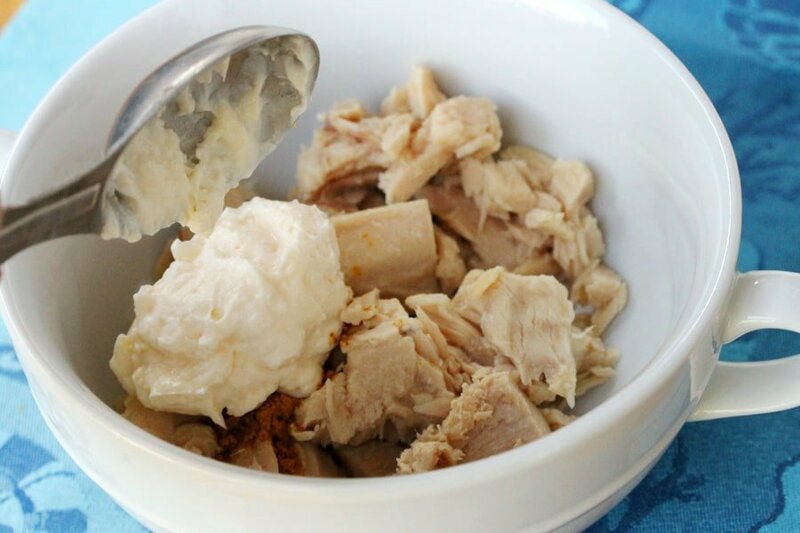 Try to keep some of the tuna in chunks so that it’s not too mushy. Set aside. 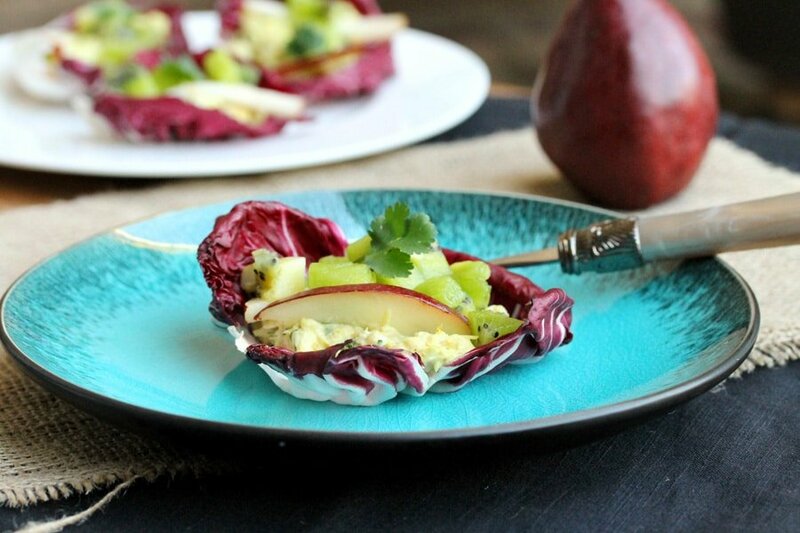 For the Pear - To a small bowl, add the cut pieces of pear. 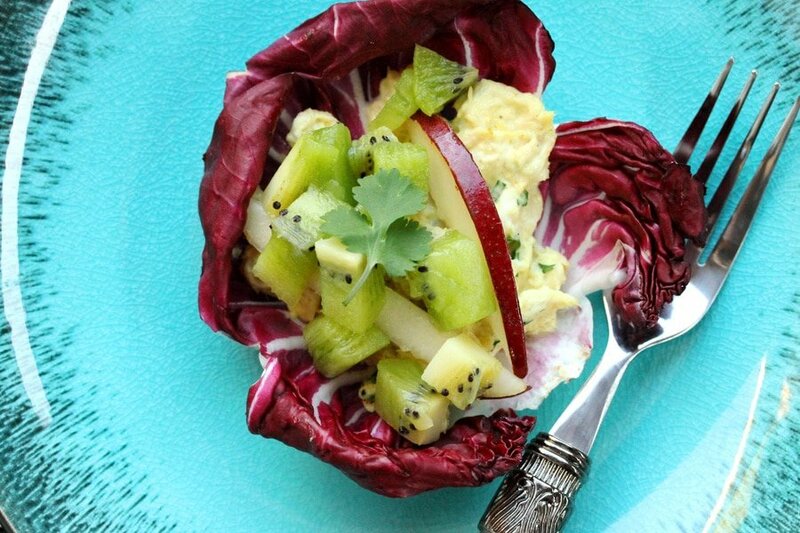 To the bowl, add fresh lemon juice and mix the pear so that it's coated in the juice. 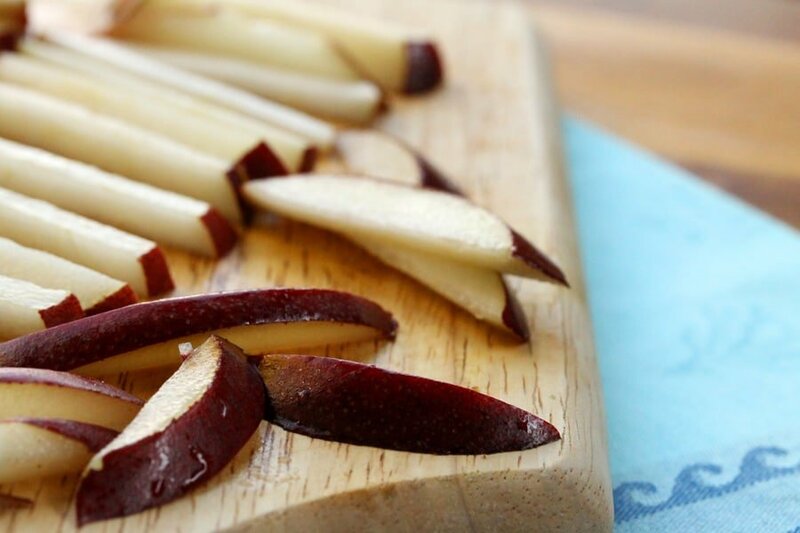 The lemon juice adds a nice flavor to the pear and should keep the pieces from turning brown. 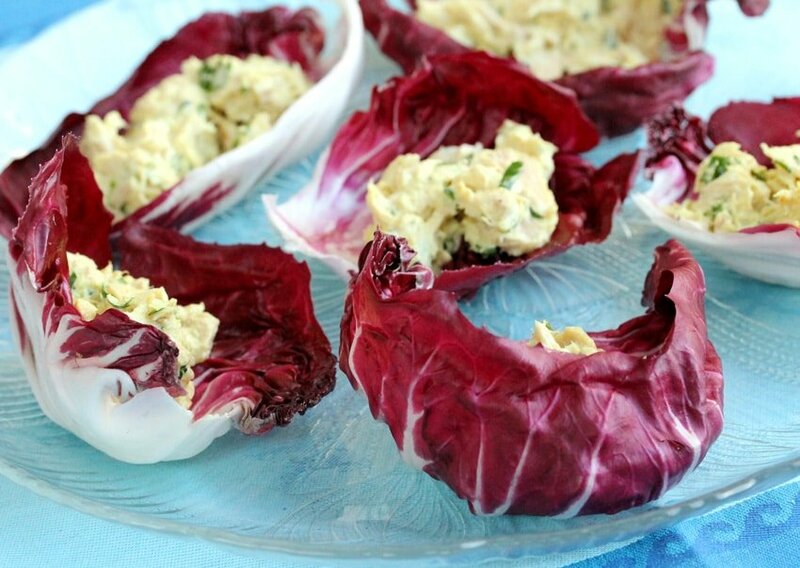 For Serving - In the middle of each radicchio leaf, spoon the tuna mixture. 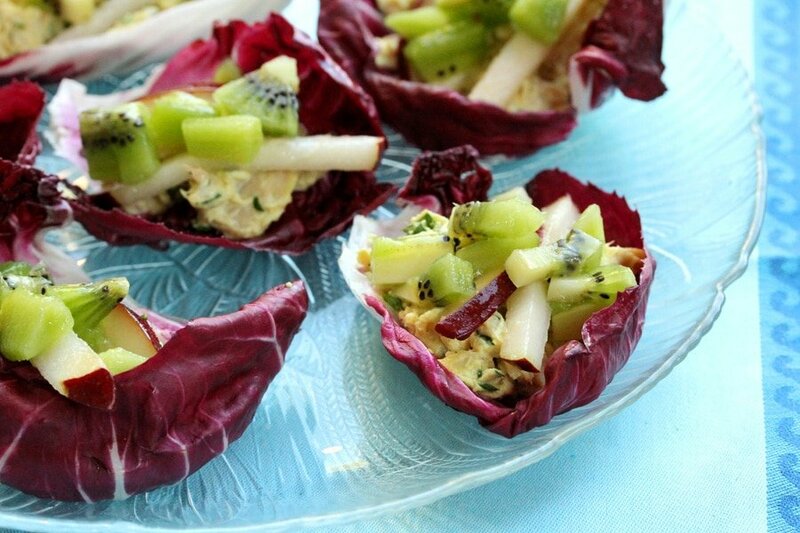 Then lay the pieces of red pear on top of the tuna. 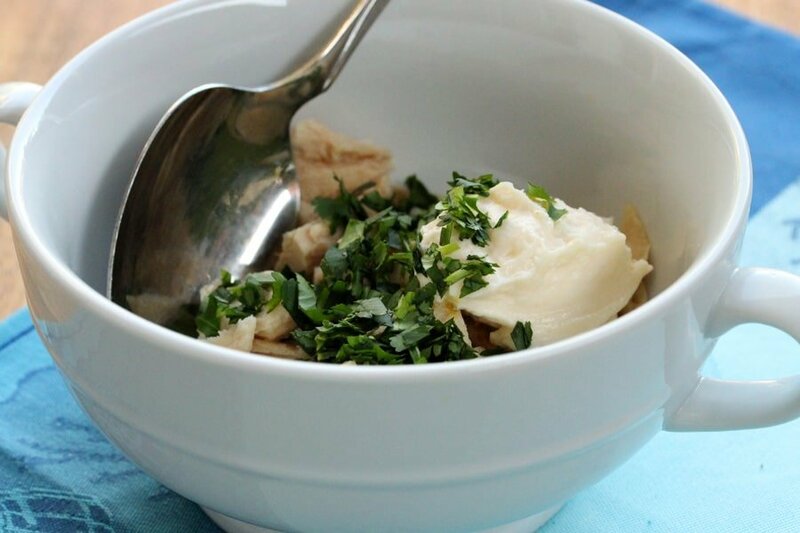 Garnish with a cilantro leaf and serve chilled or at room temperature. Thank you for sharing! 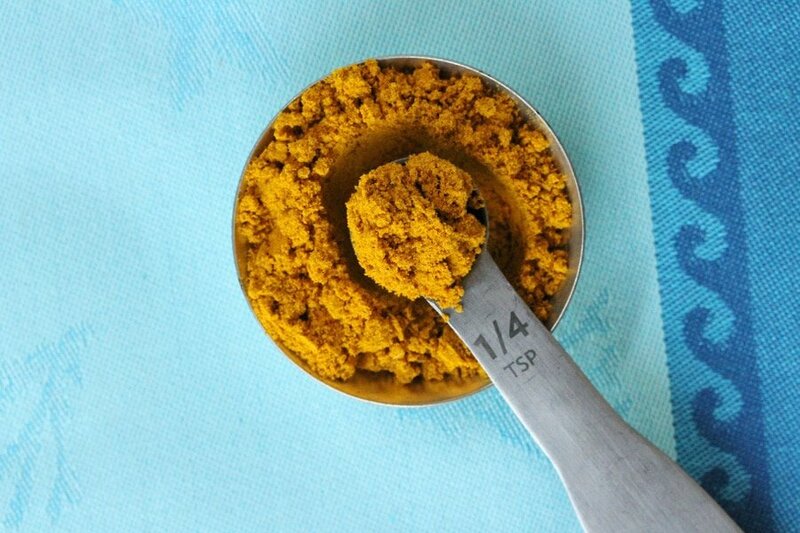 This recipe looks absolutely delicious. We shared with our Facebook fans 🙂 Looking forward to following your blog! 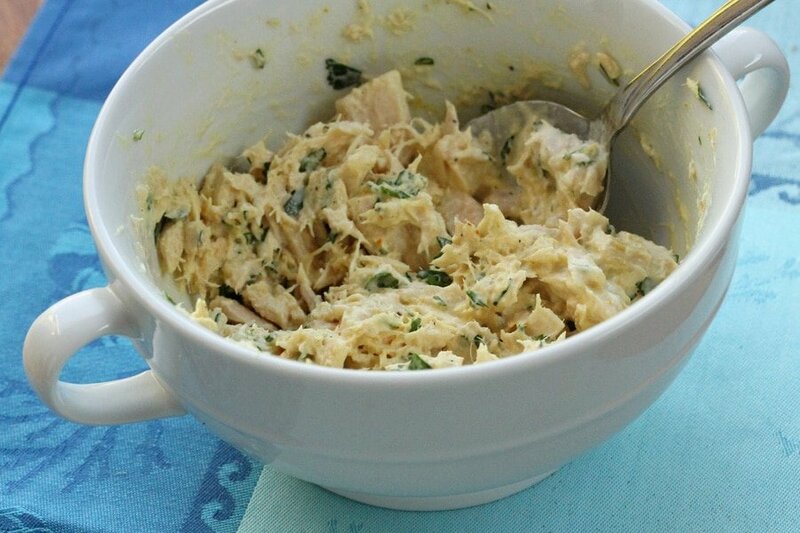 So glad you liked it and thank you very much for sharing the recipe with your Facebook fans. I really appreciate it. Thank you for stopping by! 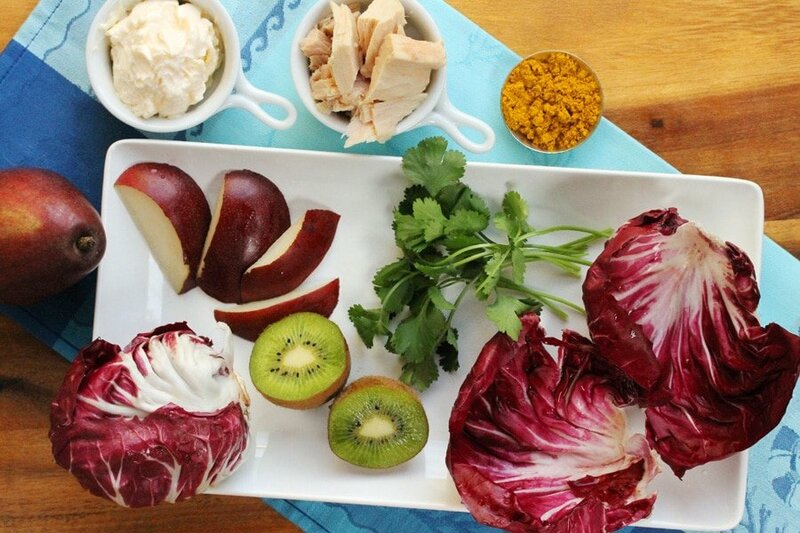 What a fantastic array of flavors and textures! 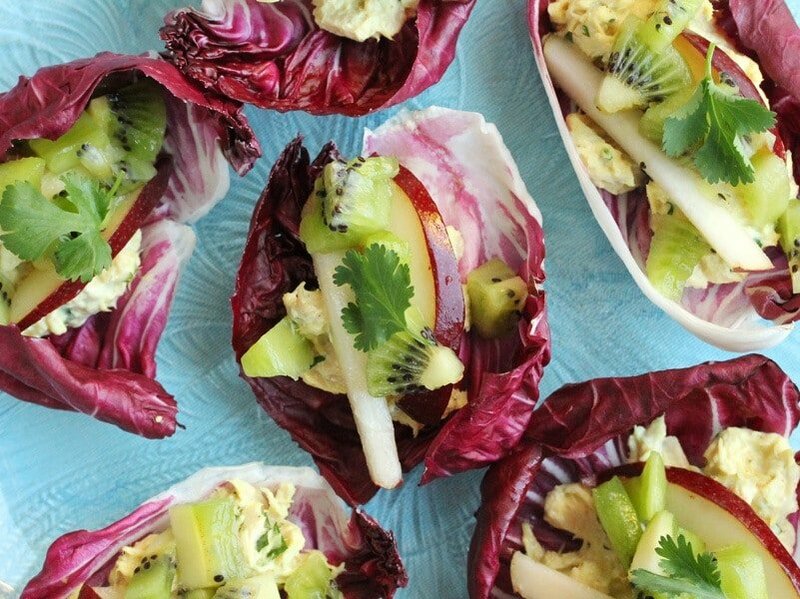 I love the addition of tart kiwi and sweet pear…lovely! 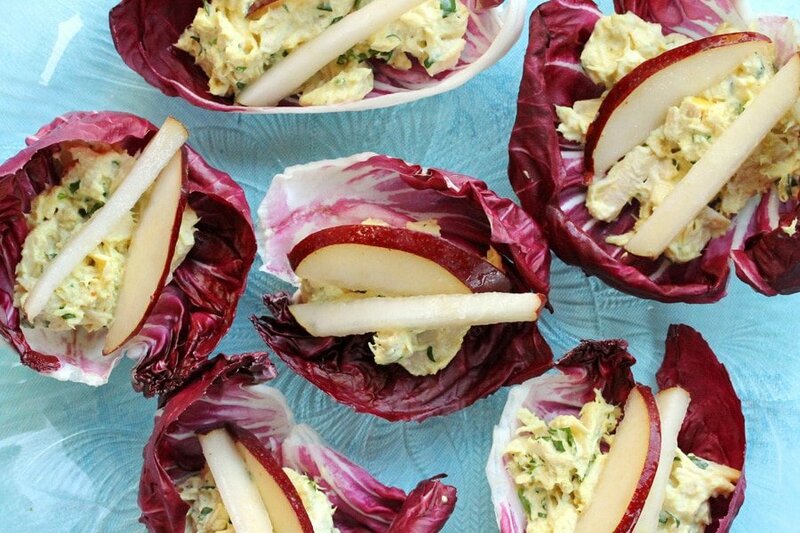 This really does put a great spin on the traditional tuna salad! The use of curry was a smart choice for the salad, it definitely amps up the flavor quite a bit. Also the crunchy and tart fruits on top are an excellent touch. Great post-yum! 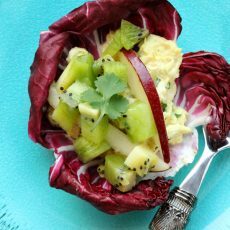 The addition of kiwi fruit here is a cool idea, especially with the curry powder in the mix.